In this work, an attempt has been made to develop fly ash filled polyurea matrix composites with low density and good dynamic mechanical behavior. Fly ash (105μm –149μm in diameter) was introduced into polyurea, and its volume fraction was varied to study its effects on the overall properties of the composites. Scanning electron microscopy was used to observe the morphology of the composites. 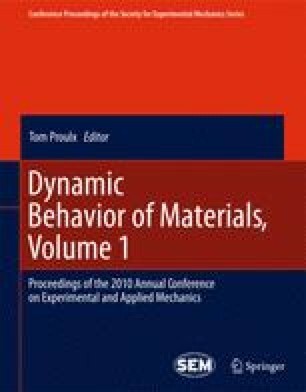 The storage and loss moduli of the composites were determined using dynamic mechanical analysis (DMA) from -80 to 70°C at low frequencies and using ultrasonic measurements at high frequencies under ambient conditions. Results showed that fly ash particles were distributed homogeneously in the polyurea matrix, and the density of the composites decreased as the volume fraction of fly ash increased. Compared to neat polyurea, increases in storage and loss moduli at high temperature were achieved by increasing fly ash content. The peak in the ratio of the moduli of the composites system over that of neat polyurea occurred near glass transition temperature Tg. The speed of sound in the composites increased with increasing fly ash content. Longitudinal modulus and acoustic impedance had similar trends.